People accused of crimes in Washington State usually find themselves in unfamiliar territory. The words are unfamiliar, the process is unfamiliar, and the penalties may be daunting. These questions and answers are designed only to provide general legal information about the criminal process. These questions and answers are not legal advice addressing a client's specific legal concerns. You are under arrest if a police officer takes you into "custody." This means that you reasonably believe that you are not free to walk away from the scene of the contact with the officer. Not every contact with a police officer means you are under arrest. Certainly, if you are placed in handcuffs you are under arrest. The officer never "read me my rights," does this help my case? Possibly, this may lead to the suppression of any statements you may have made to the officer after your arrest. I refused to answer the officer's questions or make a statement, will this hurt me? No, you have an absolute right to refuse to incriminate yourself by making statements. If your case went to trial, the prosecutor and officer would not be allowed to even mention the fact that you were asked questions and did not answer. I have no criminal history, will this help my case? Having a clean criminal record can help in negotiating your case. Your criminal history, or lack of history, would generally not be relevant if your case went to trial. Will the officer write a police report and can I get a copy? Yes, the officer will write a police report and you may review a copy. The easiest way to view this report is for your attorney to make a discovery request. The prosecutor must provide this report to your attorney. Unfortunately, the court rules do not allow your attorney to provide you a copy of the report, though you may read it at your attorney's office or with your attorney as often as you like. We recommend that you dress professionally - as though you are going to a job interview. Definitely do not wear the following: shorts, tank tops, or hats - some Judges will refuse to allow you in the courtroom wearing such items. Also, do not chew gum in court! When should I arrive for my court appearance? It is generally not necessary to arrive more than a few minutes before the hearing is scheduled. However, make sure you give yourself plenty of time to find your way to the courtroom. If the judge calls roll at the beginning of the calendar and you are not present – you may have to wait until the end to have your case called. You should keep a file of all documents relevant to your case and bring this to court every time you appear. Also, if the judge has ordered you to attend self help meetings like AA or be in treatment – make sure you bring proof of this (in writing) to every court hearing. I missed a court date, what should I do now? First, contact an attorney who can help you deal with the warrant that was issued when you missed your court date. You also have the option of turning yourself in to the jail or posting the bail or bond. First, you are asked to enter a plea of guilty or not guilty. We recommend that you enter a plea of not guilty so that you have adequate time to hire a lawyer and evaluate all the options available to you on your case. The court will also address conditions of your release that will be imposed while your case is pending. These conditions can include: posting bail or bond; entering into a drug or alcohol treatment program or attending self help meetings like AA; a no contact order; or even electronic home monitoring. What should I plead at the arraignment? Will the court hold it against me for pleading not guilty? Absolutely not. Judges understand that this is an important step and some will not even allow you to plead guilty until you have had time to consult with an attorney about your case. Can I go to jail at the arraignment? Yes, if the judge imposes bail or bond (you would be released once you posted this bail or bond). What is bail or bond? Bail is an amount of money posted with the court as a sort of insurance that you will appear at all your court appearances and follow all the orders of the court. You may post 10% of this bail amount with a bail bonding company (with collateral) as well. If you post cash bail with the court – you will get all this money back at the end of your case. If you use a bail bonds company, you will not receive the 10% fee back. What happens at a Pre-Trial Hearing? A Pre-Trial hearing is essentially a status conference between you, your attorney, the prosecutor, and the judge. The following things can happen at a Pre-Trial Hearing: the case can be continued and a new Pre-Trial Hearing scheduled; the case can be resolved and you can plead guilty to the original charge or an amended charge; you can be sentenced; or the case can be scheduled for motions and trial. Can we get more time to work on my case? Generally, yes. It is not uncommon for a criminal case to be continued at least one time so that your attorney has adequate time to investigate the charges and negotiate with the prosecutor. I signed a speedy trial waiver, what is this? You have a right to be tried within what is defined as a "speedy" time frame (90 days from your arraignment if you are out of jail, 60 days from your arraignment if you are in jail). If you want more time to work on your case (i.e. you ask for a continuance) you will need to sign a speedy trial waiver to extend this period. What happens at a readiness hearing or a Jury Call Hearing? This is a hearing a week or two prior to your trial date. At this hearing you confirm your readiness for trial and confirm the actual trial date. What is a bench trial? This is a trial where the judge hears all the evidence and makes a decision about your guilt or innocence. This is a trial where people from the community (a jury) hear all the evidence and then make a decision about your guilt or innocence. Does my case have to go to trial? No, it is always your choice to proceed to trial. However, your attorney can advise you if proceeding to trial is a good idea or not. Will I have to testify at trial? No, you cannot be required to take the stand at trial and testify. Can I have witnesses testify for me at trial? Yes, these witnesses can also be subpoenaed and required to appear and testify. However, any witnesses must have relevant testimony to provide about the actual incident. "Character" witnesses are generally not allowed in Washington DV cases. If I am convicted after a trial, will the judge punish me for going to trial? No, it would be improper for a judge to increase the penalty just because someone exercised their right to proceed to trial. However, sometimes the prosecutor will file additional charges if a case proceeds to trial. This can increase the possible penalties. The judge makes a decision about what the appropriate consequences for your conviction will be. What information can I give the judge that might help at sentencing? At sentencing you may speak (or write a letter) on your own behalf. You may also have friends or family speak (or write letters) on your behalf. At sentencing it is appropriate to accept responsibility for your actions and apologize. If you feel uncomfortable doing this, or feel that it is inaccurate in your circumstance, you should not say anything. You are not required to speak at your sentencing. The Judge ordered me to get a pre-sentence investigation done, what does this mean? A pre-sentence investigation is performed by the court's probation department. Generally, you are interviewed by a probation officer who will then make a recommendation to the judge for your sentence. Will I be taken to jail from the courtroom at my sentencing? Sometimes, yes, but not generally. It is more common for a court to give you a commitment date by which you have to turn yourself in to the jail. Do I have to tell my employer about the case? No, but you will likely need to miss work to appear at your court hearings. If I am convicted will I lose my job? It depends. Your employer may require that you have a clean criminal record. Additionally, if your job requires you to carry a firearm and you are prohibited from doing so by your conviction, you would lose your job. Do I have to tell my parents/spouse/partner/friends? No, you are not required to tell anyone. Would getting letters from my friends or family saying I am a good person help my case? Possibly. You can always provide these letters to your attorney who can use them if and when they become helpful. How long will it take to get this behind me? Generally, a criminal case takes between three and six months to be resolved after charges are filed. You could then be on probation for a period of time after that. Will it stay on my permanent record? Yes, there will be a permanent record of your arrest, charge, and conviction if any. Can I have this removed from my record? Possibly, under certain circumstances. Talk to your attorney about this. Can I go to Canada? Possibly. Canada reserves the right to prohibit entry to people convicted of criminal charges. I am not a U.S. citizen, how will this affect my immigration status? Domestic violence allegations have very serious immigration consequences. It is crucial that your attorney knows you are not a citizen and that your attorney either understands the potential immigration consequences or consults with an immigration attorney on your case. I have never met with a lawyer before, what happens during the initial consultation? The lawyer should meet with you in private (this is a confidential consultation) to discuss your case, your history, your goals and options and to discuss the cost of hiring an attorney to represent you. What information should I bring to a meeting with a lawyer? Bring as much information about your case as you have – particularly any documents from the court or police. It is also helpful to bring a list of whatever questions or concerns you have about your case – so you don't forget anything. How much will it cost to meet with a lawyer? Generally, you can find a lawyer who will not charge you for an initial consultation. At that initial consultation you can further discuss the retainer fees with the lawyer. Will the lawyer tell anyone what we talk about? Absolutely not. A lawyer is ethically prevented from discussing anything about you or your case unless you specifically give him or her permission to do so. What questions should I ask a lawyer? 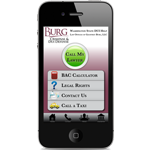 Feel free to bring up any questions or concerns you have about your case. It may be helpful for you to bring a list of questions so that you don't forget anything while you are talking to the lawyer. How do I know if the lawyer is good at representing people with cases like mine?It is very important that you meet with the lawyer in person to discuss your case and his/her qualifications. Do not hesitate to ask a lawyer about his/her experience with cases like yours. You should feel confident that your lawyer is going to work hard for you and protect your rights and interests. Can I bring my spouse/partner/parent/friend to the meeting with a lawyer? Yes, but the lawyer may ask to meet with you alone for all or part of the consultation to protect your confidentiality.